Sudeshna started playing Sarod as early as four years old and perform from stages since the age of seven. Her guru is the great Sarod maestro Ustad Amjad Ali Khan, and she is one of her generation's most successful musicians. 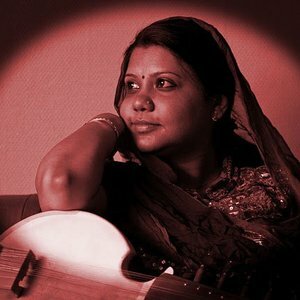 Sudeshna comes from the rich tradition Hindustani music and is something as rare as a female sarod player. In 2001 she won the title of "best Indian Musician" and in 2002 the title of "best Performing artist" in India. Since then she has toured the world and seduced the audience. Sudeshna has a tremendous inner strength that makes her concerts to a powerful experience that leaves no one untouched. Sudeshna will be followed on stage by Pandit Abhijit Banerjee. Abhijit has accompanied almost all of the biggest stars of Hindustani classical music, including Pt. Ravi Shankar, Pt. Nikhil Banerjee, Begum Parweena Sultana, Pt. Jasraj, Pt. Shiv Kumar Sharma, Dr. Balamurali Krishnan from South India to name a few. In addition to a highly successful career in Indian Classical music his crossover work includes collaborations with musicians such as Ry Cooder, Larry Corryell and Trilok Gurtu, Jon Santos, Keny Endo and many other.www.sudeshnasarod.comGlobal Copenhagen is Denmark's regional venue dedicated to world music's many genres. Global Copenhagen is also a key player in efforts to raise awareness of world music in Denmark. We work with a number of local and national associations, organizations, venues, festivals etc.